Oracle Park is a baseball park located in the South Beach neighborhood of San Francisco, California. Since 2000, it has served as the home of the San Francisco Giants, the city's Major League Baseball (MLB) franchise. Originally named Pacific Bell Park, then SBC Park in 2003 after SBC Communications acquired Pacific Bell, the stadium was ultimately christened AT&T Park in 2006, following AT&T's buyout of SBC. The park stands along the San Francisco Bay, a segment of which is named McCovey Cove in honor of former Giants player Willie McCovey. Originally designed to be a 42,000-seat stadium, there were slight modifications before the final design was complete. When the ballpark was brought to the ballot box in the fall of 1996 for voter approval, the stadium was 15° clockwise from its current position. Also the center-field scoreboard was atop the right-field wall and the Giants Pavilion Building were two separate buildings. Groundbreaking on the ballpark began on December 11, 1997, in the industrial waterfront area of San Francisco known as China Basin in the up-and-coming neighborhoods of South Beach and Mission Bay. The stadium cost $357 million to build and supplanted the Giants' former home, Candlestick Park, a multi-use stadium in southeastern San Francisco that was also home to the National Football League's San Francisco 49ers until 2014, when they relocated to Levi's Stadium in Santa Clara. A team of engineers from UC Davis was consulted in the design process of the park, resulting in wind levels that are approximately half those at Candlestick. Fans had shivered through 40 seasons at "The 'Stick" and looked forward to warmer temperatures at the new ballpark. But because AT&T Park, like its predecessor, is built right on San Francisco Bay, cold summer fog and winter jackets in July are still not unusual at Giants games, despite the higher average temperature. Naming rights Barry Bonds passes Harmon Killebrew for seventh on the all-time home run list on May 13, 2002. Note the sign on the scoreboard saying "Pacific Bell Park". After SBC bought AT&T Corporation on November 18, 2005, the name of the merged company became AT&T Inc. As a result, the stadium was given its third name in six years: "AT&T Park". A few fans still refer to the stadium as "Pac Bell Park", as it was the first name given to the stadium. Others have named the stadium "The Phone Booth" or "Telephone Park", for the constant name changes, while some referred to the stadium as "Some Big Corporation Park" due to the SBC years. Some referred to it as the ballpark to be named later. Others yet refer to it as "Mays Field" in honor of Giants great Willie Mays or simply "The Bell". Many also refer to the stadium as "China Basin" or "McCovey Cove" after its location, which would be immune to changes in sponsorship naming. The stadium contains 68 luxury suites, 5,200 club seats on the club level, and an additional 1,500 club seats at the field level behind home plate. On the facing of the upper deck along the left-field line are the retired numbers of Bill Terry, Mel Ott, Carl Hubbell, Monte Irvin, Willie Mays, Barry Bonds, Juan Marichal, Orlando Cepeda, Jackie Robinson, Willie McCovey, and Gaylord Perry, as well as the retired uniforms, denoted "NY", of Christy Mathewson and John McGraw who played or managed in the pre-number era. These two pre-number–era retired uniforms are among only six such retired uniforms in all of the Major Leagues. AT&T Park has a reputation of being a pitcher's park and the most pitcher-friendly ballpark in the National League, because the depth of the outfield limits home runs, according to ESPN. ESPN's MLB Park Factors lists AT&T Park as having the fewest home runs per game 6 out of the past 7 years, the one exception coming in 2013, when it was the 3rd lowest. The most prominent feature of the ballpark is the right-field wall, which is 24 feet (7.3 m) high in honor of former Giants Willie Mays, who wore number 24. Because of the proximity to the San Francisco Bay, the right-field foul pole is only 309 feet (94 m) from home plate. The wall is made of brick, with fenced-off archways opening to the Cove beyond, above which are several rows of arcade seating. The fence angles quickly away from home plate; right-center field extends out to 421 feet (128 m) from home plate. Atop the fence are four pillars with fountains atop. Jets of water burst from the four pillars at the end of the National Anthem and also when the Giants hit a home run or win a game. Beyond right field is China Basin, a section of San Francisco Bay, which is dubbed McCovey Cove after famed Giants first baseman and left-handed slugger Willie McCovey, and into which a number of home runs have been hit on the fly. As of December 1st, 2018, 78 "splash hits" (all by a lefty batter) have been knocked into the Cove by Giants players since the park opened; 35 of those were by Barry Bonds, and the most recent being Brandon Belt hitting one off Tyler Mahle of the Cincinnati Reds on May 15, 2018. These hits are tallied on an electronic counter on the right field wall. Opponents have hit the water on the fly 42 times; Todd Hundley of the Los Angeles Dodgers was the first visitor to do so on June 30, 2000. Curtis Granderson of the New York Mets, Luis Gonzalez of the Arizona Diamondbacks and Cliff Floyd of the Chicago Cubs are the only visiting players to do so twice, while Carlos Delgado of the New York Mets has performed the feat three times. Adam LaRoche has also hit three splash hits, twice with the Arizona Diamondbacks and once with the Pittsburgh Pirates. Max Muncy of the Los Angeles Dodgers most recently hit one into the water as a visiting player on September 30, 2018 On June 27, 2010, David Ortiz of the Boston Red Sox became the first American League player to hit a splash hit. The only other AL players who have done it are Mitch Moreland of the Texas Rangers on June 9, 2012 and Adam Dunn of the Chicago White Sox on August 13, 2014. Barry Bonds is the Giant who has hit the most home runs into "The Cove" as Giants fans call it and is the only one to have had hit 2 splash hits in one game (a feat he accomplished twice). When the park opened in 2000, taking residence on the right field wall was Rusty, the Mechanical Man based on a theme of Old Navy since the wall was sponsored by the company. Rusty was a two-dimensional robotic ballplayer that stood 14 feet (4.3 m) tall and weighed 5½ tons. The Valencia, California firm, Technifex, engineered, fabricated and programmed Rusty to appear after major plays, during games, as a fully animated giant 1920s-era tin "toy". After technical problems arose with Rusty, it was removed from the Old Navy Splash Landing, though the enclosure that housed him remained for years. In 2006 the Old Navy sponsorship of the wall was terminated and renamed "Levi's Landing". In 2008, the enclosure was removed as that area near the right field foul pole was renovated for a new luxury party suite called the "McCovey Cove Loft". To the right of the glove sculpture is the elevator and large plaza area for functions and parties to be held during games. It's also the site of "Orlando's", the concessions stand of Giants great Orlando Cepeda. The signature fare at the stand is the "Caribbean Cha Cha Bowl". Right-center field features a real San Francisco cable car numbered 44 (retired cable car #4, formerly #504) in honor of Giants great Willie McCovey. Originally, the cable car had a label that stated "No Dodgers Fans Allowed", as well as one end of the car numbered 24 in honor of Willie Mays and the other end numbered 44 in honor of Willie McCovey. The foghorn — a feature introduced at Candlestick Park by the current Giants ownership group – was transferred to AT&T and hung underneath the scoreboard. It blows when a Giants player hits a home run or at the conclusion of a Giants win. Continuing right takes one to the promenade above the Cove, so that one can make a completely uninterrupted circuit of the park at that concourse level. Both levels of the concourse, inside the stadium, feature not only concession stands of all sorts, but other attractions as well. @Café Lou Seal has served as mascot of the San Francisco Giants since 1996. In addition to the automated scoreboards, which now include a new high-definition video board by Mitsubishi, the park has enormous, manually operated boards on the right field wall, which display the scores of Major League games played elsewhere. These manual scoreboards are operated by three employees, whose work on game days starts at least two hours before the first pitch. A members-only bar (Gotham Club) is located behind the manual scoreboard, complete with bowling alley and pool tables. Former players and VIPs are the only patrons of this exclusive area. On September 23, 2008, the Giants Wall of Fame was unveiled on the King Street side of the ballpark, as part of the 50th-anniversary celebration of the Giants' move to San Francisco. 48 retired players were inducted, based on longevity and achievement. Eligibility requirements for players to be on the Wall are either five years as a San Francisco Giant with an All-Star Game appearance or nine years as a Giant. Rich Aurilia and Shawn Estes were added in 2010. Jason Schmidt and Marvin Benard were added in 2011, and Barry Bonds was added in 2017. Giants Home Attendance at AT&T Park Season Attendance Avg./Game Rank 2000 3,318,800 40,973 2nd 2001 3,311,958 40,888 1st 2002 3,253,203 40,163 1st 2003 3,264,898 40,307 1st 2004 3,256,854 39,718 3rd 2005 3,181,023 39,272 3rd 2006 3,130,313 38,646 4th 2007 3,223,215 39,793 5th 2008 2,863,837 35,356 7th 2009 2,862,110 35,335 7th 2010 3,037,443 37,499 5th 2011 3,387,303 41,819 2nd 2012 3,377,371 41,696 2nd 2013 3,369,106 41,593 3rd 2014 3,368,697 41,589 3rd 2015 3,375,882 41,678 3rd 2016 3,365,256 41,546 3rd 2017 3,303,652 40,785 3rd Source: Statues Main entrance with Willie Mays statue and 24 palm trees. A controversial feature of the ballpark is the long-running Chevron advertisement, located in left field, which features the famous claymation Chevron Cars. Some fans have criticized the banner since some of the cars actually stick up above the wall, thus altering the dimensions of the field. There have actually been instances where potential over-the-wall catches to take away home runs have been thwarted because of these cars: for example, during Game 3 of the 2016 NLDS against the Chicago Cubs, Kris Bryant hit a ball well into left field. Giants left-fielder Gregor Blanco attempted to catch the ball but the ball landed on the roof of a Chevron Car, out of his reach: thus the ball counted as a home run . On June 25, 2014 Tim Lincecum pitched the 3rd no hitter at AT&T Park against the San Diego Padres in a 4-0 win. It was his 2nd no hitter of his career, with both of them coming against the Padres. AT&T Park hosted Games 3, 4, and 5 of the 2014 World Series on October 24, 25, and 26. The Giants beat the Kansas City Royals 2 out of the 3 games played at AT&T Park, losing Game 3, 3–2, before winning Games 4 and 5, 11–4 and 5–0 respectively. They ultimately went on to win the series in seven games, with the clinching game played at Kauffman Stadium rather than at AT&T Park. As of 2017, the Giants have not hosted a World Series clincher at AT&T Park, but they did host one at Candlestick Park in 1962, which was won by the New York Yankees. On June 15, 2015, the Giants set a record for most consecutive home losses at AT&T Park at nine straight games with a 5-1 loss to the Seattle Mariners. This losing streak was the Giants' longest since an 11-game home loss streak at the Polo Grounds in New York in 1940. From October 1, 2010 to July 18, 2017, AT&T Park recorded 530 consecutive sellouts, the second longest in Major League history behind Fenway Park's 794 consecutive sellouts from 2003–13. Giants Enterprises, a wholly owned subsidiary of the San Francisco Giants created and headed by longtime team executive Pat Gallagher, brings non-baseball events to AT&T Park on days when the Giants do not play. Prominent among these has been the usage of the stadium for football. It has also hosted a range of other sporting and musical events. The park was home to the XFL's San Francisco Demons in 2001, was the home of the East-West Shrine Game (until 2006), and was the former home stadium of the California Redwoods of the UFL in 2009. On February 10, 2006, the U.S. men's soccer team defeated Japan 3–2 at AT&T in a friendly. A match of the 2011 World Football Challenge between Manchester City and Club America was held at AT&T, drawing a crowd of 11,250. On March 17, 2012, the Houston Dynamo defeated the San Jose Earthquakes 1-0 in a regular season Major League Soccer match at AT&T. The stadium hosted the 2018 Rugby World Cup Sevens from July 20 to July 22. In the game Watch Dogs 2, a stadium, called Nudle Park, based on AT&T Park is recreated. Its location is also in San Francisco, and is in the same region. The Mavericks big-wave surfing contest is broadcast live on the giant video display at AT&T Park when the event is held. 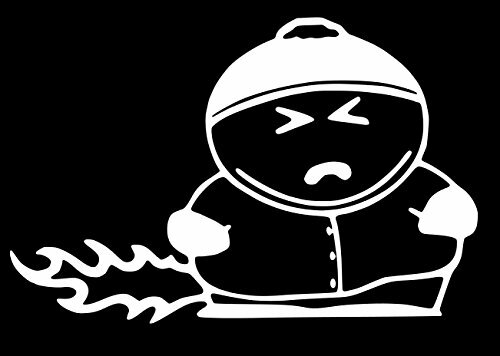 In 2006, the park hosted ICER AIR the first stadium big-air ski and snowboard competition to be held in the United States. Starting in 2014, the stadium is host to the commencement exercises of San Francisco State University. ^ Crumpacker, John (May 11, 2010). "Cal Football to Temp at AT&T Park". San Francisco Chronicle. Retrieved December 4, 2013. 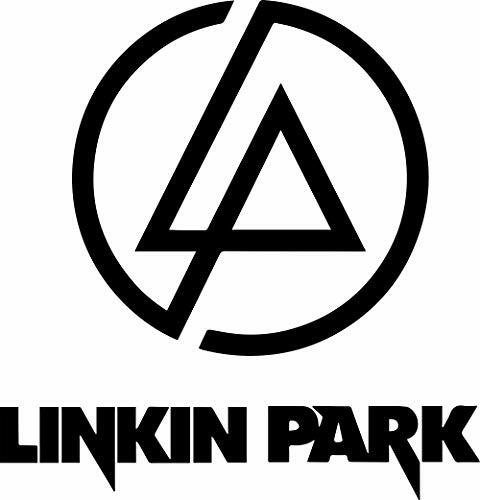 ^ "AT&T Park". Populous. Retrieved June 9, 2014. ^ "Team". Alliance Building Partners. Archived from the original on March 6, 2014. Retrieved December 4, 2013. ^ King, John (April 11, 2000). "Neighbor-Friendly Lighting At Stadium Earns a Halo". The San Francisco Chronicle. Retrieved May 8, 2012. ^ "AT&T Park". Ballparks.com. Archived from the original on July 12, 2010. Retrieved December 4, 2013. ^ Epstein, Edward (February 25, 1997). "The Giants' Grand Designs / Statue of Willie Mays to Grace New Ballpark". San Francisco Chronicle. Retrieved June 9, 2014. ^ "Engineering: Taking the Wind Out of Baseball". UC Davis Magazine. Retrieved September 18, 2007. ^ a b "Privately Built Pacific Bell Park a Curse to Other Teams". Lawrence Journal-World. Associated Press. October 22, 2002. Archived from the original on September 30, 2007. Retrieved September 18, 2007. ^ Gordon, Jon (May 14, 2004). "In San Francisco, the Giants Went Private for Their Stadium". Minnesota Public Radio. Retrieved September 17, 2007. ^ "AT&T Park Becomes the First Major League Ballpark to Receive LEED Silver Certification for Existing Buildings, Operations and Maintenance" (Press release). Major League Baseball Advanced Media. April 21, 2010. Retrieved August 14, 2013. ^ a b c Raine, George (February 4, 2006). "It's Official: SBC Park Becomes AT&T March 1 / S.F. Giants Will Be Playing Ball on Field's Second Name Change Since Opening in 2000". San Francisco Chronicle. Retrieved August 13, 2012. ^ Swartz, Jon (10 April 2000). "Baseball Gets Wired In San Francisco". Forbes. Retrieved 21 June 2017. ^ "AT&T Park Ranked Most Vegetarian-Friendly Ballpark by PETA," KCRA, 14 July 2014. ^ "Splash Hits". Major League Baseball Advanced Media. Retrieved September 18, 2007. ^ "AT&T Ballpark Attractions". Major League Baseball Advanced Media. Retrieved December 4, 2013. ^ Elder, Jeff (June 18, 2013). "Welcome to AT&T Park's New Social Media Cafe – Home of the Giant Tweetdeck". San Francisco Chronicle. Retrieved June 9, 2014. ^ "Giants Wi-Fi Network". Major League Baseball Advanced Media. Retrieved December 4, 2013. ^ Haft, Chris (September 23, 2008). "Giants Honor Greats with Wall of Fame". Major League Baseball Advanced Media. Retrieved June 9, 2014. ^ "Wall of Fame". San Francisco Giants official website. MLB Advanced Media, L.P. Retrieved April 8, 2012. ^ Haft, Chris (September 22, 2008). "Giants to Unveil 'Wall of Fame'". Major League Baseball Advanced Media. Retrieved June 9, 2014. ^ Haft, Chris (July 24, 2010). "Aurilia, Estes to Join Giants Wall of Fame". Major League Baseball Advanced Media. Retrieved December 4, 2013. ^ "San Francisco Giants Attendance". Baseball-Reference. Retrieved October 7, 2017. ^ Epstein, Edward (August 7, 1998). "'All Choked Up / Giants Legend Willie Mays Is Moved By Statue of Him for New Ballpark'". San Francisco Chronicle. Retrieved December 4, 2013. ^ "San Francisco Giants McCovey Point And China Basin Park". Major League Baseball Advanced Media. Retrieved December 4, 2013. ^ Sheldon, Mark (July 16, 2013). "Cincinnati Reds Set to Call San Francisco Home for Game 1 of Doubleheader". Major League Baseball Advanced Media. Retrieved December 4, 2013. ^ "Cal Football to Play 2011 Home Season at San Francisco's AT&T Park" (Press release). University of California, Berkeley Athletics. May 10, 2010. Archived from the original on August 14, 2011. Retrieved January 24, 2011. ^ Stephens, Mitch (November 30, 2011). "CCS Division III Title Game Set for AT&T Park". San Francisco Chronicle. Retrieved December 4, 2011. This will be the first high school football game played at AT&T (the two schools have played baseball games there as part of the Bruce-Mahoney series). ^ "Northern California Wildfire Relief Benefit Concert". Metallica. October 24, 2017. Retrieved October 25, 2017. ^ Garchik, Leah (October 22, 2013). "Kanye's S.F. Proposal to Kim Kardashian". San Francisco Chronicle. Retrieved May 24, 2014. External links Wikimedia Commons has media related to AT&T Park. Check out a book and read your future. . . . 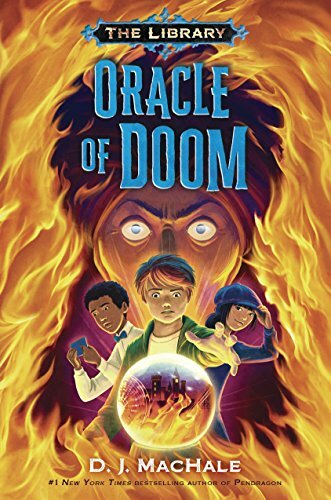 It's another page-turning adventure from #1 New York Times bestselling author D. J. MacHale!Marcus is an agent of the Library, a place filled with tales that don't have an ending. Puzzles that won't be solved until Marcus and his friends step in to finish them. 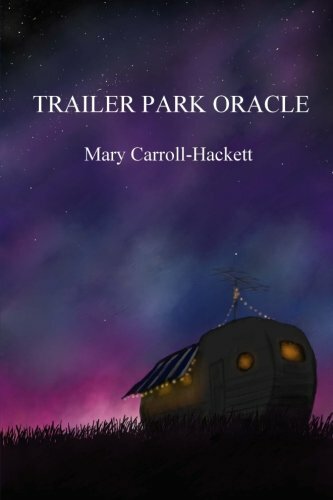 This time it's their own stories at stake.Theo just visited the Oracle Baz, an old amusement-park machine that spits out fortunes for the cost of a quarter. Fun, right? The only problem is, the oracle's cheap predictions have been coming true . . . and Theo's fortune says that life as he knows it will end on his fourteenth birthday! Plus, Lu's cousin, who also went to the oracle, is missing.Marcus knows where to find help for his friends--the Library. 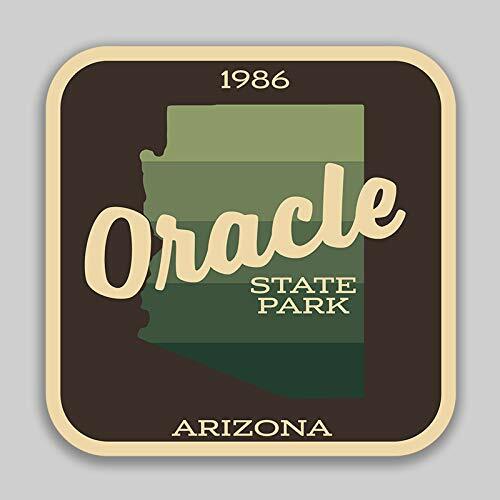 It turns out that the Oracle Baz was a real man who died in a fire long ago. Can a glimpse into the fortune-teller's past change all their futures? “The developer who has failed in design can be forgiven, but the administrator who has failed in backup and recovery cannot be forgiven.”Just as the above indicates, backup and recovery requires a lot of experiences and knowledge along with discretion. However, it would be too risky to learn the backup and recovery by practicing it, because a simple failure in the backup and recovery will generate tremendous loss. That is why you have to study how to respond and keep a good book at hand so that you can get help from the book whenever you want. In this sense, I can guarantee that this book will serve as a strong anchor when you are in trouble. One of the characteristics of the book is that it presents various types of errors and failures you may encounter at the field. It analyzes error and failure causes from the different perspectives, and explains how to actually do the recovery, particularly focusing on the practical work. It also contains many case-by-case scenarios that are easy to find, so you can get the solutions you need without any difficulty. For example, when you start up the Oracle you may face “ORA-00205: error in identifying control file, check alert log for more info” message and see the Oracle server doesn’t start. In this case, you can refer to the case 1 in the chapter 5 to immediately know the solution. If you drop a table by mistake, you may refer to the chapter 9 in order to recover the table without stopping the server. If you want to respond to the errors and failures that happen in a RAC environment, you can go to the chapter 12 and refer to the cases of various error types. Simply speaking, this book classifies all the errors and failures based on their types, and explains their causes and the responses to them.Sometimes you may successfully do the recovery, not knowing how the recovery is done. This is because you simply memorize how to respond. If you understand the principles of the recovery, going beyond simple memorization, you can always respond to a more complex and difficult situation. Understanding the principles will help you put your knowledge to practical use. Various examples and easy explanations on the principles of the book will surely enhance your ability to apply your knowledge.Make sure you keep this book in order to become the professional engineer who never fails in backup and recovery! 1. 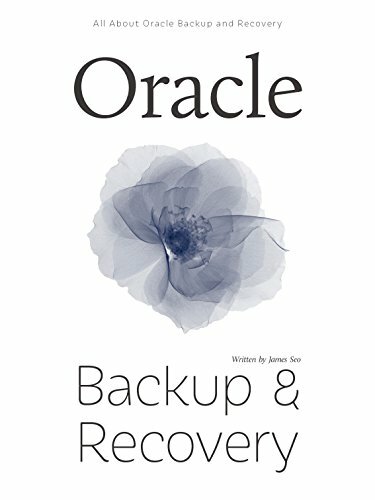 Oracle Recovery Principles2. No Archive Log Mode and Archive Log Mode3. Oracle Backup4. Parameter File Management and Recovery5. Control File Recovery6. Log Miner Use and Redo Log File Error7. Data File Error and User Error Recovery8. Data Migration9. Emergency Recovery in DB Open 10. Flashback11. Recovery Manager (RMAN)12. RAC Backup and Recovery (Raw device)13. Block Corruption RecoveryThis book do not support for the Kindle DX.
" 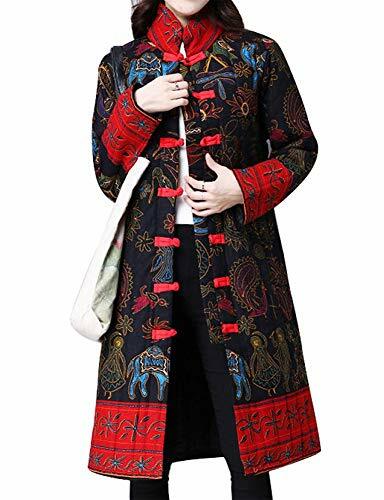 100% CUSTOMER SATISFACTION GUARANTEE Delivery: Late orders (over 48 hours from emailed date of delivery) will be credited 100% of the initial order value. Product: Is there a problem with the quality of the item your ordered, you are missing an item, or were delivered a wrong item? We will replace the item free of charge on our next delivery run in your area, or when the product becomes available. Price: We pride ourselves at providing quality products at fair and competitive pricing. Nothing makes us happier than a happy customer! " Published in cooperation with Cuyahoga Valley National ParkCuyahoga Valley National Park (CVNP) is part of a national movement to establish parks that are readily accessible to city-dwellers. After a vigorous grassroots campaign, Cuyahoga Valley National Recreation Area was signed into being by President Gerald Ford in December 1974 and in 2000 became Cuyahoga Valley National Park. Stretching between Cleveland and Akron in heavily urbanized northeastern Ohio, CVNP has been called a "Green-Shrouded Miracle," preserving precious green space and offering a retreat to more than 3,200,000 visitors each year.In succinct, readable prose complemented by stunning photographs, the Cuyahoga Valley National Park Handbook provides a brief but comprehensive history of the park--the people, the land, the ecology, and the politics that led to its creation. 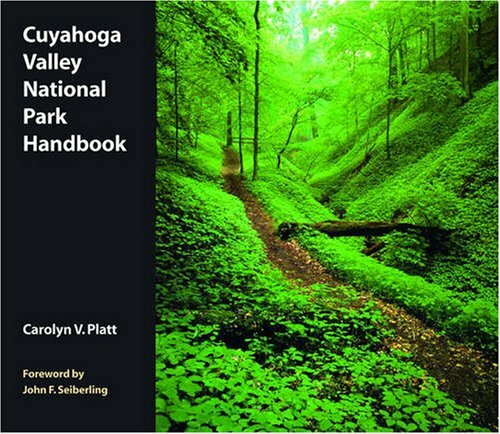 Author Carolyn Platt and staff from CVNP included historic and contemporary photographs and illustrations to enhance this handbook.